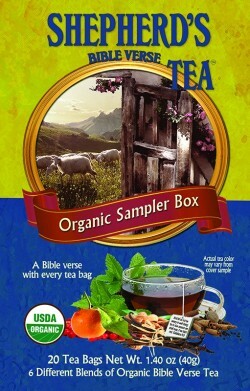 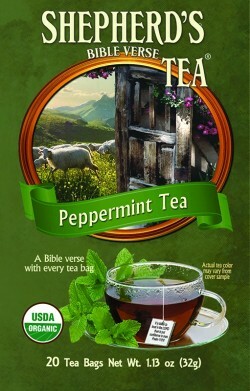 SCRIPTURE TEA There are 16 products in this category. 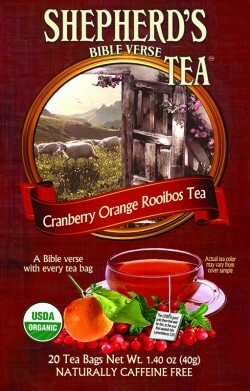 Our Organic Vanilla Almond Rooibos Tea is a delicious blend of herbs, spices, natural flavorings, and Rooibos tea. 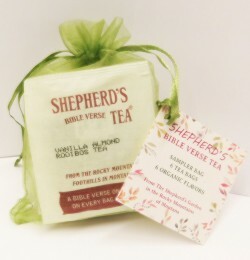 And every individually-wrapped tea bag has a Bible verse on a tag, providing meaningful inspiration for your day. 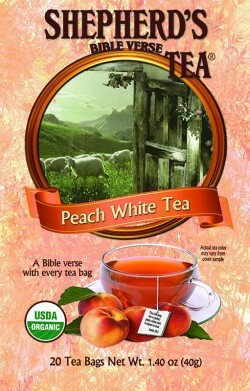 A Bible Verse with every bag of tea!